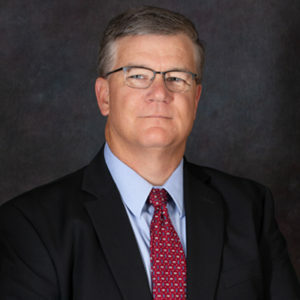 Stephan S. Mathis graduated from Oklahoma State University in 1990 with a BSBA in Accounting and the Tulsa University College of Law, with highest honor, in 2001. In addition to being a licensed attorney, Mr. Mathis is a Certified Public Accountant who began his accounting career with Baird, Kurtz & Dobson (now BKD) in its Tulsa office. In 1992, Mr. Mathis accepted a position with Coopers & Lybrand (now PricewaterhouseCoopers) where he worked for 9 years as an auditor of large corporations and financial institutions. Because of his business and accounting background, Mr. Mathis has focused his legal practice in the areas of estate planning, construction litigation, insurance law, business and commercial litigation and commercial transactions. His practice also extends to the areas of probate, Indian law, and taxpayer advocacy in federal and state tax controversies. Mr. Mathis has served as an Administrative Law Judge for the Oklahoma Insurance Department since 2012 and has litigated matters in both state and federal courts throughout Oklahoma. Mr. Mathis is married and has two boys. He and his family attend church at the Sapulpa First United Methodist Church.